Gilead Sciences of San Francisco is under investigation by the U.S. Senate Finance Committee for charging $84,000 for a 12 week course of a new drug to treat hepatitis C. Gilead sells the exact same course for $900 in poor countries like Egypt and India. Sovaldi – the brand name for sofosbuvir – was approved last December by the U.S. Food and Drug Administration, to treat hepatitis C, a viral infection that can cause fever, fatigue, cirrhosis and deadly liver cancer. Some 150 million people around the world are estimated to be at risk, often many years after receiving contaminated blood tranfusions. (Body Shop founder Anita Roddick died from such a transfusion). Solvaldi has been described as a breakthrough drug because of its ability to cure victims in just three months, with few side effects. The company defends its pricing policy. “Gilead’s global pricing model is based on a country’s ability to pay,” says Gregg Alton, executive vice president of corporate and medical affairs at Gilead. Yet, Gilead’s strategy is also likely based on the fact that poor countries like India have taken a firm stand against paying astronomical prices for specialized drugs and courts have ruled in their favor a number of times. Instead of fighting the matter in the courts like Novartis, Gilead has taken a more practical approach of sitting down at the bargaining table. The problem for U.S. victims is that once private health insurers have agreed to pay top dollar, it raises the price for others in the same country, notably the state insurance programs. 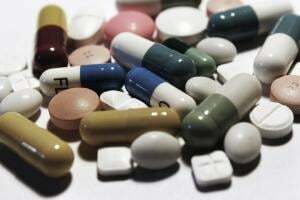 Experts say that astronomical prices for newly patented “breakthrough” drugs are not going away anytime soon so long as U.S. insurance companies are willing to pay, a prospect that has helped the stock prices of pharmaceutical companies to soar. For example, Kalydeco, a new drug to treat cystic fibrosis, a genetic lung disease, is priced at $300,000 a year for a treatment that last for a lifetime.